It’s been a busy year, with job changes, new experiences, and many things to learn and write about. 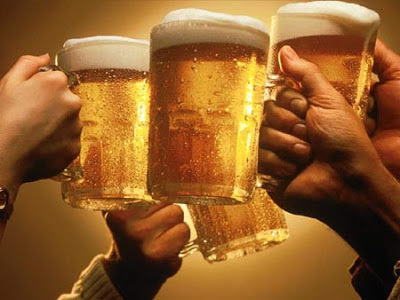 This post will mark the 148th of 2012, averaging greater than 12 posts a month. 2012 saw the 40’000+ pageviews a month barrier broken with November recording 41’113 pageviews. The popularity of the VCP510 Exam Cram Notes posted in October 2011 was surprising, and also responsible for a spike in pageviews lasting up to the end of February (when the free VCP 4 to 5 upgrade path ended) hitting 35’648 for February 2012, a mark that was not beaten until October 2012 with 38’774 pageviews. The end of 2011 saw a maximum of 27’819 pageviews a month (largely due to the VCP510 Exam Cram Notes). The end of 2010 saw a maximum of 2’910 pageviews a month. 24th March 2013 will mark the 3 year anniversary of cosonok.blogspot.com. The intention of this blog has always been to share information which will hopefully be helpful or informative to the reader – either original work, a new slant on things, or new way of presenting existing information – and not to pursue statistics. Statistics can be quite fun though, and it looks like the 500’000 pageviews mark will be breached early 2013, along with the 250’000 visitations mark. Potentially, 2013 could see the 1’000’000 pageviews mark breached and 500’000 visitations – we’ll see, it is not a goal though – changes to my work are likely to see me posting less, and there’s more to life than work and blogging! I’m hoping the New Year will bring lots of interesting projects, interesting problems to solve, and lots of cool ideas for new content; also there are a few certification paths I am keen to pursue, such as Brocade, VMware VCP-IaaS, and NetApp. A set of links with some brief notes – and perhaps even images – of interesting tech things happened upon since the 23rd December Tech Round Up, which are well worth a look if you get the time! With stuff from: Condusiv, Dell, Microsoft, NetApp, Veeam, Vladan, VMware! 25% Faster VMs or the Software is FREE! - Misalignment would cause up to 2x larger snapshots, but not more than 2x. 1. Problem — What is the issue we are trying to solve? 2. Current risk — What is the risk if we don’t put a solution in place? 3. Proposal — What is the proposed solution? 4. Total cost of ownership (TCO) — What is the cost of the solution including HW, SW, licensing, recurring, people, support, etc.? 6. Project risks — What are the dependencies? What are the things that you control and what are the things out of your control that may create a challenge for the project? The following is a listing of the excellent Cisco Validated Designs (CVDs) for FlexPod. There are links to HTML and PDF versions of the documentation where either/and/or exists, and dates of last updated (checked New Year’s Eve 2012 with the latest documents at the top of the sections). The following post contains a few brief notes compiled from a day at the start of the month. Whenever I have attended an event, completed a project... post-event and when time is permitting, I like to review the things I should have known, things I need to remember better, things I have learnt, and find answers to questions raised. Enough waffle – on with the notes! “In a single head environment all of NVRAM is utilized to log write operations. NVRAM is split into two pages - p0 and p1. In an HA Pair the NVRAM on each member is split, and all writes are logged on the local and partner NVRAM, for both p0 and p1. A MetroCluster consists of two controllers – one controller in Site A, the second controller in Site B. “Disk drives from different manufacturers may differ slightly in size even though they belong to the same size category. Right sizing ensures that disks are compatible regardless of manufacturer. Data ONTAP right sizes disks to compensate for different manufacturers producing different raw-sized disks." Flash Pool allows you to cache both random reads and random writes. 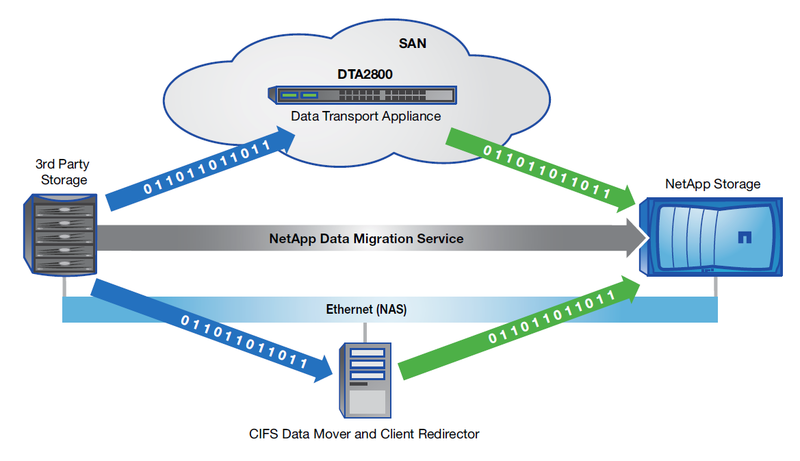 The DTA2800 can be used for offline and online data migration over Fibre Channel and iSCSI, from legacy storage to NetApp storage. 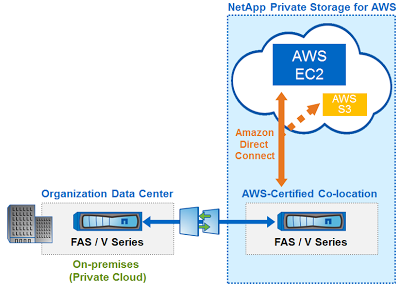 In a scenario where you want to consolidate many Windows Fileservers, many of which have the same share names, leverage NetApp MultiStore! Typically migrating Exchange data is a case of enabling circular logging (so the transaction logs don’t balloon in size) and performing migrations. With NetApp you can leverage SnapManager for Exchange and take regular snapshots whilst migrating the Exchange data so as to keep the transaction logs down in size, whilst at the same time protecting the data being migrated, and not requiring store restarts to enable/disable circular logging. With Oracle Data on say Red Hat Enterprise Linux, an option for migration from legacy Fibre Channel storage is to migrate to NFS. One of the problems with Synchronously Mirrored SANs (Multi-Site SAN, Syncrep, Metrocluster, you name it) is that they introduce an amount of write latency, and this latency increases the further away you separate nodes of the Sync-SAN. Why does it increase latency? Well, the whole point of a Sync-SAN, is that the data that exists on the SAN in Site B, is an exact copy of the data that exists on the SAN in Site A, and to have an exact copy it means any writes must be written to both SANs at the same time and acknowledgement of successful writes from both SANs returned before the server can submit any further writes. What is a best case minimum latency? The speed of light is 299’792’458 m/s, or ~= 299’792 km/s. Say we have two sites separated by a distance of 100km, this gives a round trip of 200km, and a best case minimum latency of 0.7ms (0.7 milliseconds or 0.0007 s.) Now 0.7 ms is a pretty tiny interval and perfectly acceptable in an age where even the most demanding applications might ask for 2ms maximum latency; but the 0.7 ms is a best case and additional latency is added by the physical network infrastructure in between nodes of the Sync-SAN, and the physical hardware of the SAN and Server nodes themselves. What is the maximum distance with a 2 ms maximum latency in a perfect world? We can use a best case scenario to consider how far we can stretch our Sync-SAN in a perfect world where no latency is introduced by storage, server or networking. What if we had servers in a different site in between the SANs? 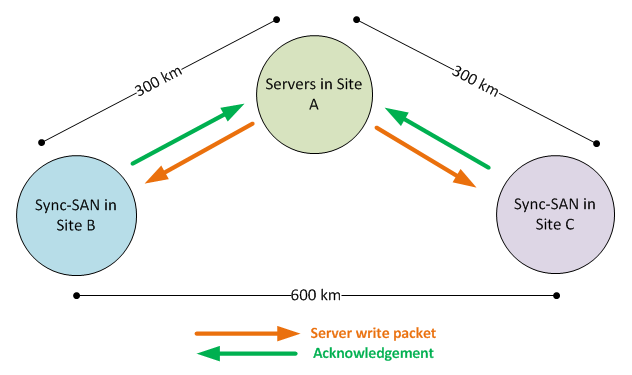 Theoretically, we could stretch the distance between SANs to 600km and still keep the 2ms maximum latency if we had a Site A with servers in, Site B 300km away from Site A with SAN Mirror A, and Site C 300km away from Site B with SAN Mirror B. Now, this would be a pretty bananas solution having servers in one site, and SANs in other sites, but theoretically since the servers need to wait for successful packet delivery and return acknowledgement to both SANs in a Sync-SAN, this is a valid idea. What about going beyond 600km and keeping 2ms maximum latency? Here’s where this post goes even more bananas (more like stark raving bonkers – but hey it’s the holiday season so I can allow the indulgence) and delves into the realms of science-fiction. Now, suppose we could create a wormhole in between the Sync-SANs, then there would be no real-world distance limitations. We could fire the write packets down the wormhole, have some kind of delay mechanism on the other end (because the packets would have travelled backwards in time), deliver the packet to the Sync-SAN replication node at the correct time, then fire the acknowledgement packet back down the wormhole, delay it (because it would again have gone back in time), and deliver it to the server with minimal to no latency. The packet would never have travelled faster than the speed of light through the wormhole, but – when measured between points outside the wormhole – it would indeed have exceeded the speed of light. The error below occurs on a XenServer 6.0.2 Pool, when trying to remove a Bond network after a failed Bond Create which meant having to run the Emergency Network Reset on the Master and then all Slaves in the Pool. From the output obtain the UUID for the problem network. From the output obtain the VIF UUID of the problem VIF that is preventing the network destroy. The VIF is now destroyed allowing the network to be destroyed. 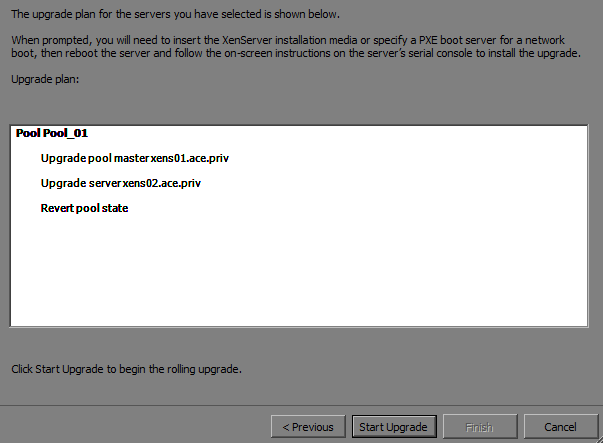 Starting with XenCenter 5.6, Citrix introduced the ‘Rolling Pool Upgrade…’ functionality into XenCenter, and we shall leverage this here to upgrade an existing XenServer 5.6 pool to 6.0.2. Note: It is not possible to upgrade pools or servers running XenServer version 5.5 or earlier using this wizard! Fig. 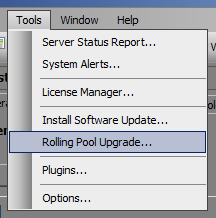 8: Rolling Pool Upgrade Wizard – Network Install Files Test Success! 3.7) Follow the prompts to complete the upgrade (which is a pretty much just like sticking a physical CD in the drive and following the console prompts)! Note 1: If you get the following error “Upgrade failed. 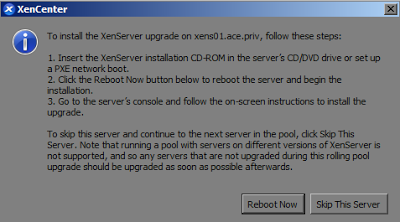 The (XenServer) has rebooted with the same version” when using the Manual Upgrade, then the boot order in BIOS will need setting to boot from CD. Note 2: The Automatic Upgrade does flag up missing hotfixes which the Manual Upgrade does not seem to do, suggesting it may well be worth running the Automatic Upgrade as far as the pre-checks, applying any missing hotfixes, then skipping back and re-selecting Manual Upgrade. - Can we extract AutoSupport information? - What make are model are the hosts servers? - What specification (RAM, CPU, local disk, number of NICs)? 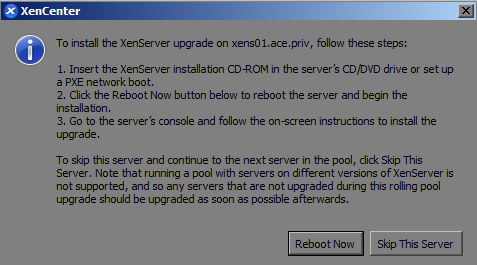 - What version(s) of XenServer are in use, and Hotfixes installed? - Are the hosts pooled or standalone? - What guests are running on the hosts? - Does the current pool utilization allow one host to be taken offline for purposes of upgrade? - Is the environment being used for VDI? - Is the environment being used with Citrix Provisioning Services? - How is the environment being backed up? - How is the environment monitored? - Power cabling (Best practice - dual power feeds from separate circuits)? - Where are the host servers (and - if in a datacenter - do we have remote access via iDRAC/ iLO/ etc.)? The Citrix XenServer Dell Edition exists only from 5.0 to 5.6! - How many NICs and in use and for what purpose? - Are NICs bonded (best practice including for iSCSI)? - Distributed Virtual Switch (DVS) in use? - Are separate physical switches being used for iSCSI? - Jumbo Frames, Flow Control, Unicast Storm Control disabled, VLAN Segmentation, PortFast, Hard-coded Duplex and Port Speed settings, etc. (specifically for iSCSI)? 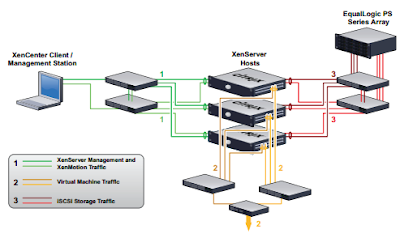 - How are the current XenServer hosts licensed, and what edition (Free XenServer licensing or via a license server)? - What version is the current license server, and where is this installed (Installed on Windows guest or licensing appliance – latest VPX 11.1)? - Is licensing available for an upgrade? - What storage arrays are in use? - How many storage arrays? - What firmware/software version are the arrays on? - What type of Storage Repositories are used (local EXT3, local LVM, NFS, Hardware HBA, Software iSCSI, Citrix StorageLink)? 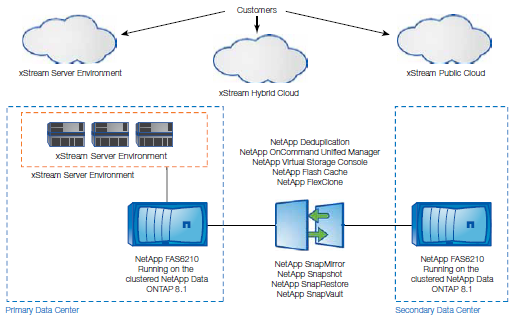 - If using NetApp/EqualLogic, is the Advanced Citrix StorageLink type SR in use? 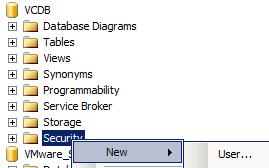 - Any report issues for SAN/Storage (e.g. latency issues)? - Can we have SAN diagnostic outputs? - If NetApp, can we have a full AutoSupport output? - If EqualLogic, can we have a full SAN HQ output? 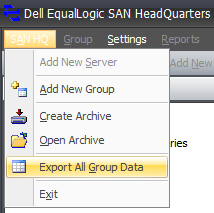 Note 1: There are no specific EqualLogic Host Integration Tools for XenServer. - Are the any issues with the current environment? 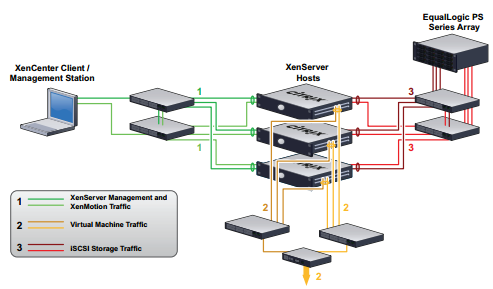 Equallogic and XenServer 6.0: Disapointing, yet still awesome! A set of links with some brief notes – and perhaps even images – of interesting tech things happened upon since the 26th November Tech Round Up! With stuff from: Cisco, CommVault, Dell, HP, KEMP, Microsoft, NetApp, PHD Virtual, StorageReview, Symantec, Veeam, VKernel, VMware, Walken (Christopher), Windows Phone! Excellent resource for preparing and configuring Networking, Arrays, and Hosts with EqualLogic; and monitoring and validating the solution! Receive for Free for 60 days! Installation walkthrough of KEMP’s virtual loadbalancer VLM100! Q: Is it true you can't disable User Account Control (UAC) in Windows 8? Nice article on MultiMode VIFS and Static MultiMode VIF, plus explanation on load balancing. filer> options autosupport.doit now (from both the source and destination filers,for all in the cascade). Receive for Free – Trialware available! 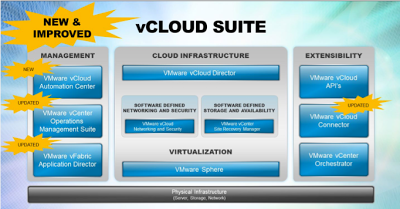 Top Free VMware vSphere Tool of 2012! New VMware releases in time for Christmas! Best Practices for VMware vSphere 5.1 Single-Sign-On (SSO) articles. Click on the first link to download the excellent PDF presentation. As a part of the release of vCenter Operations Manager 5.6 (a.k.a. 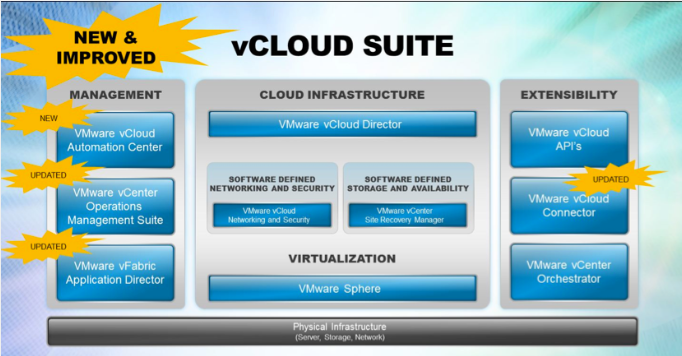 vCOPS) a new Foundation edition has been made available to all vSphere owners. 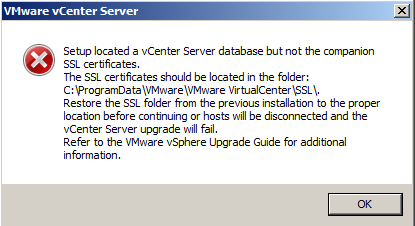 It has been updated for vSphere 5.x & VMFS5. Okay, nothing to do with IT! “Use your camera to translate printed text, voice recognition to translate spoken text, or the keyboard to enter text that you want to translate.” A pretty nice app if you’ve got a Windows Phone! We have a vCenter 4 running on Windows Server 2003 32-bit and with the “vCenter Server” database sitting on a remote Microsoft SQL Server 2005 32-bit instance. We want to migrate to the latest version of VMware’s vCenter – vCenter 5.1a – which requires a 64-bit O/S. 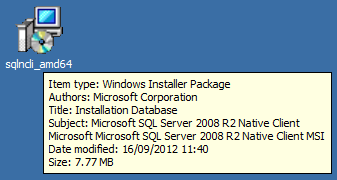 At the same time we want to move the database from the old SQL Server 2005 to a new SQL Server 2008R2. 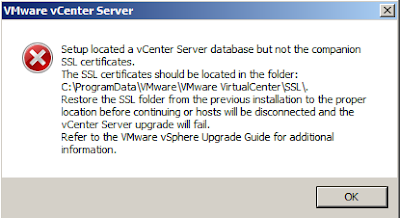 Additionally we want to keep the vCenter name and IP Address. Checking on the Checking on the VMware Product Interoperability Matrixes – the vSphere 4.0 U1 to 5.1 has a supported upgrade path. A minor detail and not important as part of this scenario – we will be using a local administrator and domain user account – vcservice – to install vCenter and for Windows services. 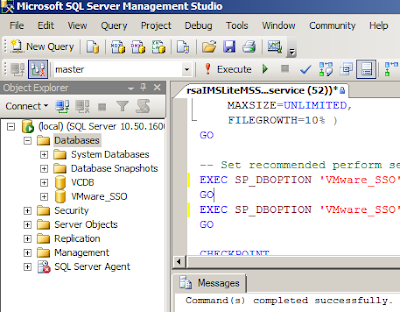 The SQL servers were similarly installed with a local administrator and domain user account – sqlservice. The vCenter version we currently have is 4.0u1 (the only reason why it is U1 is because I happened to have a copy in my ISO library.) In our lab we have 3 running VMs which will remain running throughout the upgrade. Just click OK is you get the warning about full-text catalogs! 4.5) Once you’ve made the required changes to the script, hit the “! 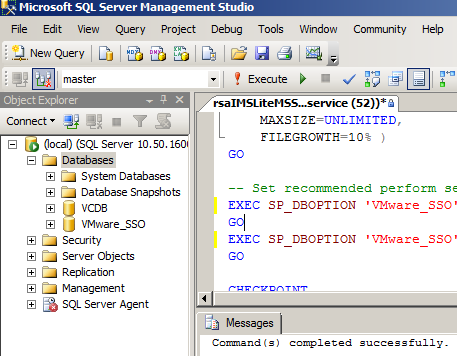 Execute” button and you should be greeted with a “Command(s) completed successfully” message and – after refreshing the Databases folder – see the VMware_SSO Database created. Be sure to uncheck the ‘Enforce password expiration’!